We had a really interesting discussion at our last Life Group meeting. We were discussing God’s Word – The Holy Bible. 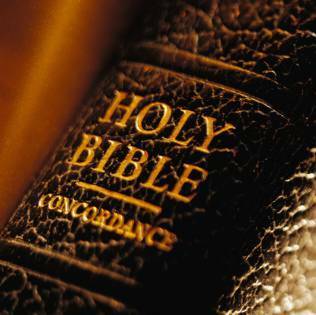 One of the questions I posed to the group was, “Do you believe the Bible to be truth and if so why?” In other words, do you believe the Bible is God’s Word and if so, how would you explain to an unbeliever the reasons why you believe the 66 books of the Bible, 39 in the Old Testament and 27 in the New Testament, written by 40 authors, are the inspired words of the one true God? Before I explain what my answer would be, let’s take a look at what the Bible really is. It is the all-time best selling book in history. It has stirred up more controversy that any book in history as well. Though many have tried to destroy it as well as keep it away from people, it is still around in abundance. Regarding its substance – it is a book of HISTORY, a book of PROPHECY, a book of POEMS & HYMNS, a book or PROMISES and a book of INSTRUCTION. I once described it as a mirror in that it shows us who we really are and a map because it shows us where we need to go and even a portrait for it paints for us a picture of who God is. The opinion has been, and still is widely held that the Bible is nothing but the story of man’s salvation, a guarantee of the validity of their faith for Christians everywhere. It is however at the same time a book about things that actually happened. Admittedly in this sense it has limitations, in that the Jewish people wrote their history in the light of their relationship to Yahweh, which meant writing it from the point of view of their own guilt and expiation. Nevertheless the events themselves are historical facts and have been recorded with an accuracy that is nothing less than startling. Now that we have established that the Bible is a very prominent book, both now and historically, as well as discussed its substance, how would I personally defend it as God’s Word to an unbeliever? I could take the archaeological approach, digging up all the archaeological finds that have occurred throughout history to support the historical events and places of the Bible. I could also mention the Dead Sea Scrolls, which consist of roughly 1,000 documents, including texts from the Hebrew Bible, discovered between 1947 and 1979 in eleven caves in and around the Wadi Qumran (near the ruins of the ancient settlement of Khirbet Qumran, on the northwest shore of the Dead Sea) in the West Bank. Furthermore, I could point out all the prophetic events that have been fulfilled, especially pointing out the number of prophecies that Jesus Christ Himself fulfilled, some events that were written about thousands of years prior to them taking place. However, I think the most solid and valuable argument I can give as to why I believe The Bible is God’s Holy Word is that God Himself has REVEALED it to me as such. When God revealed Himself to me back in 1988, He at the same time revealed to me that The Bible was His Word. “What?” you might say. How and why does God REVEAL Himself to people? Is that even scriptural? In Matthew’s Gospel, Chapter 16, where Jesus asked his disciples who they thought He was and Peter answered, “You are the Christ, the Son of the living God (vs 16),” Jesus replied in verse 17, “Blessed are you, Simon son of Jonah, for this was not REVEALED to you by man, but by my Father in heaven.” They knew He was the Christ ONLY because God had revealed it to them. Have you ever tried to read the Bible apart from being saved, born again, becoming a Christian, or whatever else you want to call the regeneration process? To all I have spoken with, it did not make much sense. There is good reason for this and that is because the Bible is a mystery to those who have yet to experience the regeneration (born-again) process. One can know The Bible frontwards and backwards but it is still shrouded in mystery because God has not revealed it to them. Satan probably knows the Bible better than anyone who has ever read it and yet had he understood its true mystery, he very likely would not had delivered Jesus up for to the cross – an act that ended up defeating him. You can argue with any unbeliever on the basis of archaeological finds, or science, or the prophecies of the Bible or even the oldest manuscripts we have and they will come up with an opposing view every time. However, when you argue on the merits that God has revealed His Word to you, they have nothing solid to oppose that. I would also mention that not only has the Word been revealed to me, it has changed my life as well. The Gospels clearly demonstrate God’s love for me through the life of Jesus Christ. The Bible’s promises give me a hope for the future I did not have before. Paul’s letters to the churches show me that I can master sin as opposed to it mastering me. The Old testament, besides providing a wealth of life examples, reveals to me that I cannot please God by my own efforts and constantly reminds me of my need for a Savior. Don’t get me wrong – it is good to know that archaeological studies have confirmed the historical aspects of the Bible and that prophecies have been fulfilled and that we have very old documents that validate what the Bible translations say today. In fact I’d encourage you to read books like “Evidence That Demands a Verdict” by Josh McDowell or even the book I am currently reading entitled, “The Bible As History” by Werner Keller. But remember that if you are truly saved and have a relationship with God through Jesus Christ, The Bible has been revealed to you. It is no longer a mystery but rather it living and powerful in our lives (Hebrews 4:12).